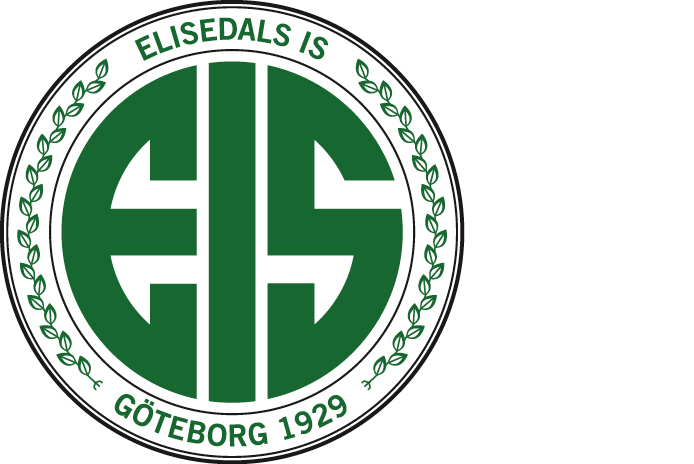 Existing since 1929, Elisedals IS is one of the oldest amateur football teams in the West of Sweden. To celebrate the club’s 80 year anniversary a new website was created that reflects Elisedals’ significant history and its ambitions as a progressive, modern football club today. The imagery used throughout the website was selected to focus on two things. Firstly that the club is an amateur club and doesn’t delude itself with professional ambitions. Secondly that the focus of the club is on developing a group dynamic and works towards togetherness rather than the aspirations of any one individual. 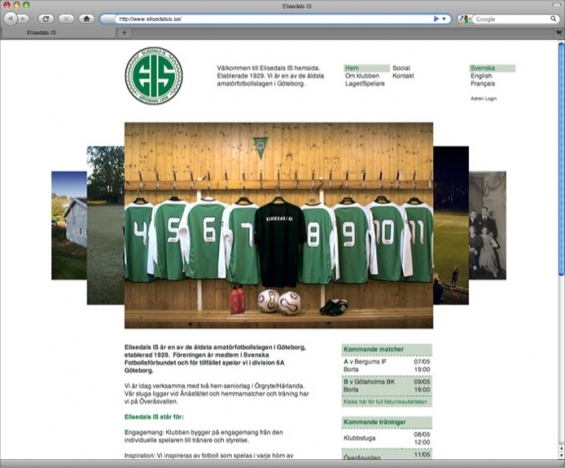 Whilst the website was under development the opportunity was also given to redesign the club’s crest as previous incarnations had become confused and lacking in clarity. 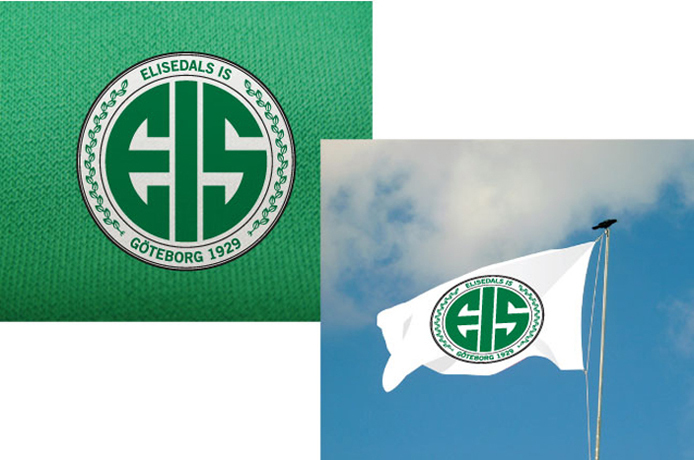 Due to the lack of mascots or nicknames associated with Elisedals IS the new crest takes a highly typographic approach. 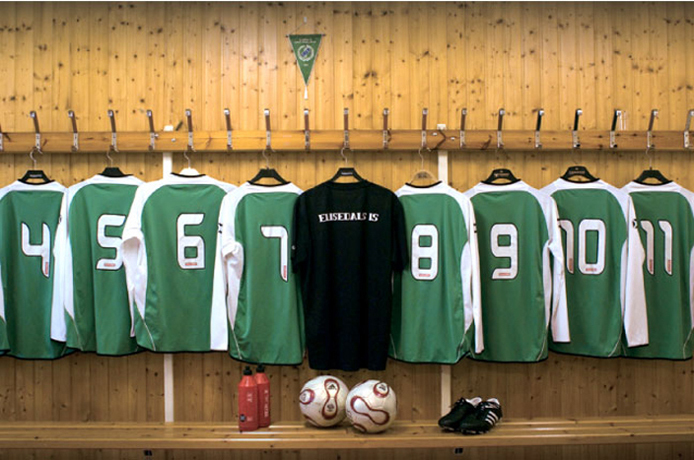 The design is presented in the club’s traditional colours of green, white and black. 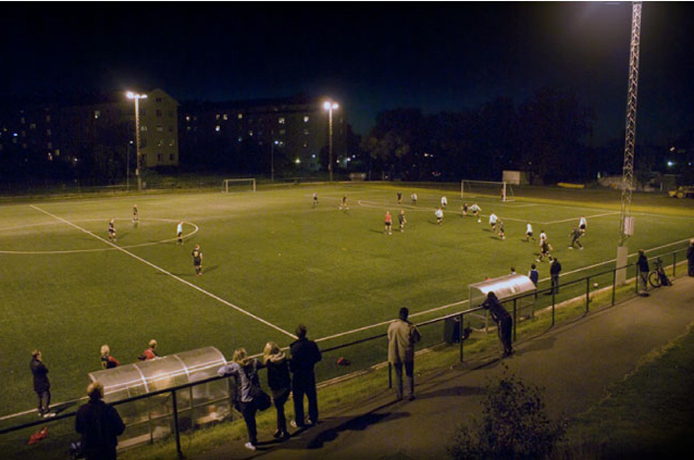 Focus was directed into making the design very bold and incorporating the date of the club’s inception into the Swedish football league.